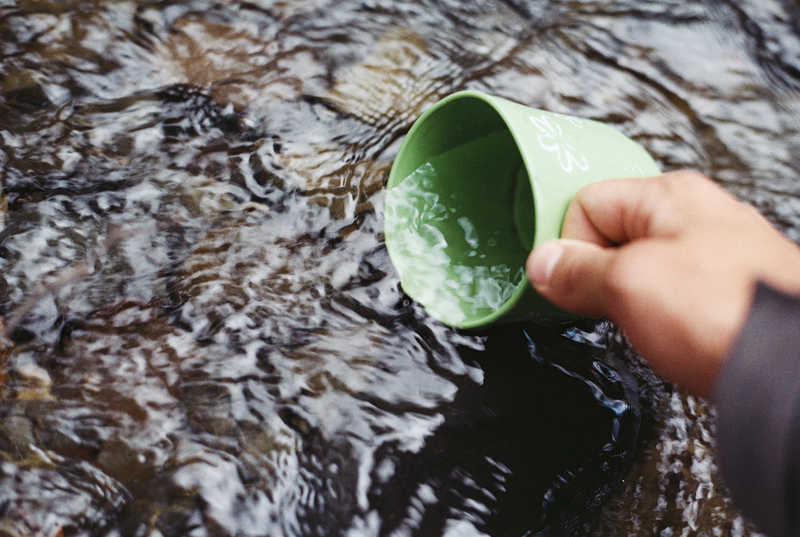 Atium’s reusable filter technology allows selective removal of toxic heavy metals from water, in a more effective and sustainable way than ever before. Clean water is one of the largest future challenges we stand before, and toxic pollutants are a large contributing factor. Heavy metals are some of the most toxic chemicals to human health and it is our goal, through our innovation, to contribute to a world where water treatment is more environmentally friendly and effective. 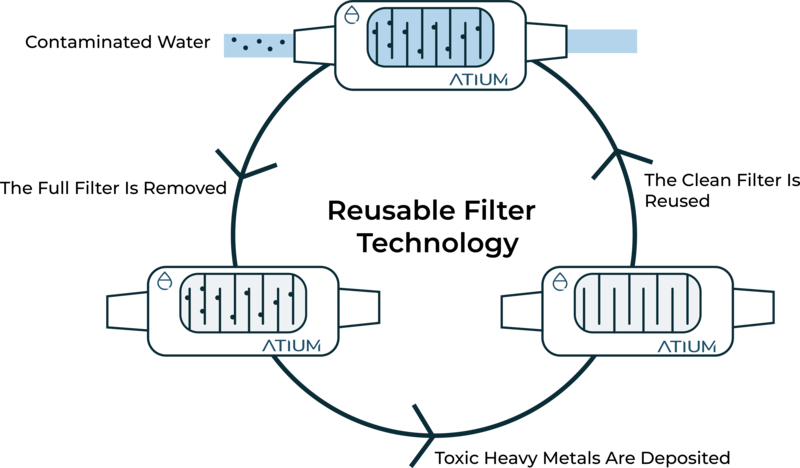 Atium exists to help ensure clean water, for everyone. Effective at removing very low concentrations of heavy metals. Selective, and does not waste capacity on harmless substances. Sustainable, since it is reusable, chemical-free, has a low energy consumption and it does not require consumables nor produce large amounts of secondary waste. In treatment of industrial process- or wastewater our technology could help reduce the amount of secondary waste produced and consumables required, as well as provide an effective and efficient solution for treating low concentrations of heavy metals in large quantities of water. This could reduce the cost and environmental impact of water treatment, as well as ensure the quality of the water. For environmental sanitation projects, our technology could be integrated into a mobile and reusable water treatment unit. Its selectivity would allow it to avoid wasting capacity on naturally occurring, harmless metals while providing excellent removal of the targeted toxic heavy metal. Furthermore, it could help reduce the amount of secondary waste produced during the project. Our technology can also provide an opportunity to treat drinking water in heavily affected areas.  The low energy requirement allows our technology to be easily powered using solar cells, which combined with the fact that it is reusable and can remove heavy metals down to concentrations far below drinking water limits, enables us to develop a self-sufficient water treatment unit. Our technology is incredibly versatile and can be adapted to other applications as well. Our goal is for this technology to create value for people and companies all over the world. Do you want to explore if we can help make your water treatment more effective and sustainable? 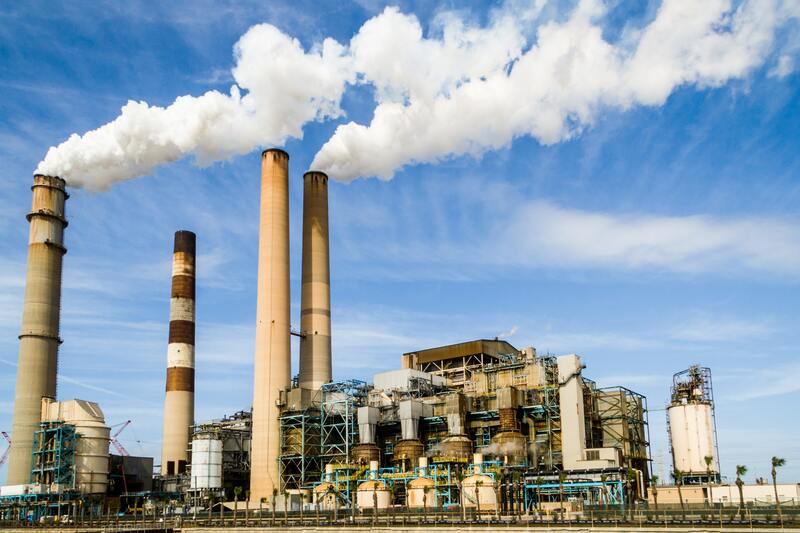 The first of our major strengths is that we can effectively and efficiently remove very low concentrations of heavy metals from large quantities of water, which is important since they are toxic even in small amounts. In tests performed on water with a mercury concentration of 50ppb (0.05mg/l), we could remove over 99% of the mercury. Furthermore, our technology is extremely selective.  We can decide which heavy metals we wish to remove from the water, and do not waste capacity on removing other substances. It can thus be tailored to remove the specified heavy metal in a given situation. Lastly, and perhaps most importantly, our technology is reusable, does not require any consumables and greatly reduces the amount of secondary waste, beside the heavy metals themselves.  This, in addition to a low energy requirement makes this technology sustainable from both a cost- and environmental point of view. Fully reusable, without requiring consumables or producing large amounts of secondary waste. We are developing a new sustainable method for selectively removing toxic heavy metals from water. The patent-pending technology is based on electrochemistry and is the result of several years of research at Chalmers University of Technology. We have confirmed exceptional performance in removing mercury, have promising results on removing lead and cadmium, though we need to perform more experiments, and can potentially also remove arsenic. Via a built in sensor we can detect when the filter is full. When that happens the filter is removed, the heavy metals can be safely removed in a concentrated form and the filter is then ready to be reused again. 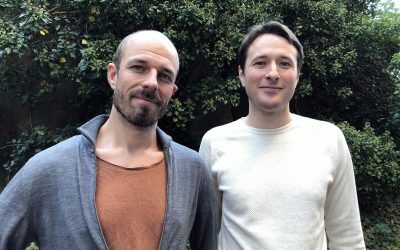 Björn and Cristian’s article on Atium’s technology was published in Nature Communications and receives wide international media coverage. 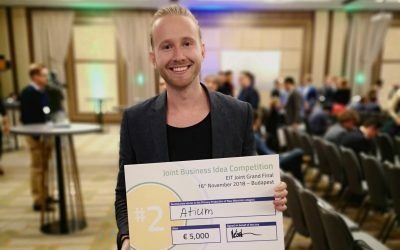 Atium traveled to Budapest to pitch in front of an international jury in the finals of the EIT RawMaterials Business Idea Competition, and managed to win the 2nd place and 5.000€. 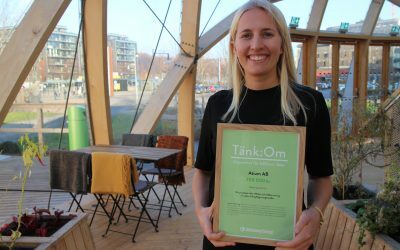 Atium is named one of the 2018 winners of Göteborg Energi’s scholarship “Tänk:Om” and takes home 200.000 SEK. The scholarship is meant to help realize ideas and innovations that can have a drastic effect on the environment. M.Sc. graduate from Chalmers School of Entrepreneurship with a B.Sc. 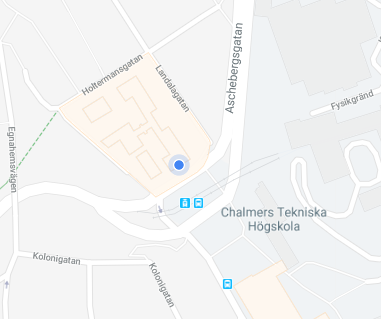 in biotechnology from Chalmers University of Technology. As CEO, Emma is responsible for operations, business development and management of the technology development. M.Sc. graduate from Chalmers School of Entrepreneurship with a B.Sc. in business and marketing from the Gothenburg School of Economics, Business and Law. 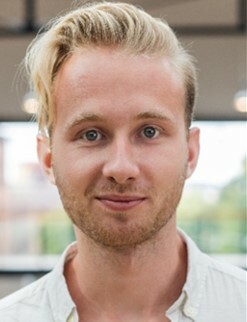 As CMO, Johan is responsible for partnerships, marketing and business development. 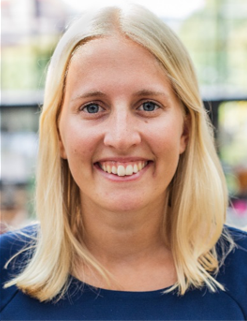 Professor and researcher in chemical physics at Chalmers University of Technology with a great amount of experience in electrochemistry. 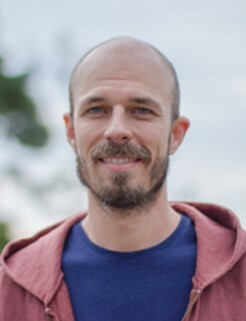 Björn is the inventor of the technology and head of technology development. Post Doc in chemistry. Cristian assists the team and Björn with complex lab experiments and technology development. 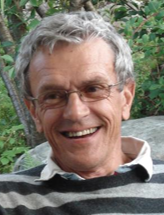 Serial entrepreneur, experienced board member and Vice Chairman of Engineers Without Borders. 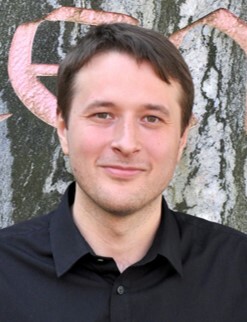 Jan contributes with vast experience from both industry and from building successful startups. Feel free to stop by for a coffee. If you have questions, suggestions, propositions or just want to have a chat, then please leave us a message and we will get back to you as soon as we can.